Recycling for money is a strategy that can take you further than you’ve expected. This can be done for the sole purpose of using cash or as a benefit that adds value to your green living philosophy. To encourage people to recycle for cash, the government and independent organizations have introduced various programs and options available. But many people won’t agree to recycle unless there’s a personal gain involved. What can be more motivating than saving money from reusing, repurposing and recycling things you would otherwise dump at the landfill . Therefore, let’s take a look at 51 different ways of recycling for money. 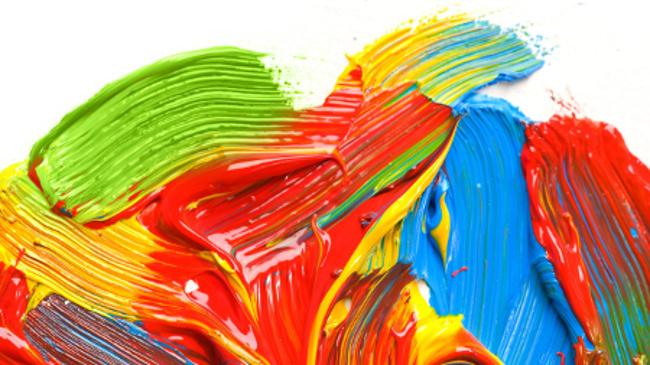 Do you want to be creative parent ? Here is a good idea. We all know that children love to run and play all day long freely in the backyard. Collect your household waste that you’ll never bring to the recycling centres. Invent from them a spot which will be appropriate and safe for your children. You can build a training camp for little soldiers with your old tires, planks and ropes left from your last house renovation. Or just improvise with a pitch dedicated to some kind of a sport to keep your children healthy. Ask them secretly what they dream about! Then figure it out, what you can create with your waste materials. By doing this you will save the environment from harmful waste. In addition, this would be a good recycling investment for free and priceless joy for your children. There are millions of gallons of motor oil purchased around the world each year. Most auto shops recycle used motor oil, but people who change their motor oil by themselves hardly think about recycling the leftovers. If you change your own oil, don’t forget to recycle the leftovers when you’re finished. Only 2 gallons of used motor oil can power an average home for one day which will help you save from energy bills by recycling effectively. The automotive industry has convinced consumers they need to change their oil frequently at every 4,000 miles, but if you don’t drive that often you can save on vehicle expenses. Without a doubt you can think about an oil change less frequently than you have been. It’s simple, just get to the basics that helped the wolf species become domesticated. All dog owners want only the best for their lovable pet but are still feeding them only on dog food. What wolves consumed to evolve into dogs was basically food leftovers, mostly bones. Don’t denude your dog of this pleasure, whenever there are any bones leftovers after dinner. Check if they are not dangerous and feed your dog on them. Imagine if all meals that have been given to you since young age was fast food and have never had the chance to get your hands on a banana ? This is how your dog would feel if you bereave it of bones. Hollow (bird) bones are soft enough and are also marrow-free. Better crush them with meat grinder before giving them to the dog. A pasta is easier to eat and does not impose a risk of choking. Small bones, or any tough and solid bones that can break your dog’s teeth or are sharp enough to penetrate the inside of its jaw. You can read more on what bones to give to your dog. 4. Recycle Food Waste And Save Cash From Buying Eggs. This seems to be any gardener’s best option to save some cash from their monthly budget by getting the most of what a garden can be used for. In addition to raising herbs, fruits or vegetables, growing animals like hens and chickens is the ultimate solution to not dump all of your food waste at the landfill. One thing is for sure – you’ll never have to buy eggs any more and yours will be 100% organic. This may save you up to a few hundred dollars a year, depending on the number of your family members and the amount of eggs you consume on a daily basis. 5. Construction Waste Recycling After The Home Renovation. Earn Quick Cash By Selling It. Disposing of all builders waste when the construction workers leave your house is no longer the smartest move. Instead, look for effective opportunities to drive the waste materials at a recycling centre that is interested in your builders refuse. Metals of all types (copper and aluminum are some of the expensive). If a magnet sticks to the metal it’s usually of the cheaper kind. Bottle return centres treat your bottles differently. All of us should do the same. Never mix glass, plastic and and metal. You will not only make it all harder for you later, but can also contaminate perfectly recyclable material and turn it into unusable crap. Having them separated also helps for faster return without needing to look inside the whole mess of bottles for the right one, wasting precious time. Recyclable plastics are numbered. #1 and #2 are the most common and are both perfectly recyclable. In case you have no bottles, there are always the classic destinations which you can scavenge for hours. Parks and other public place where people consume food and drinks are great spots to keep an eye on. Some people have managed to earn their living only by scavenging other people’s rubbish. One man’s trash is another man’s treasure, right ? If you need some help organizing, but don’t want to spend money for a new container or kitchen boxes, keep an eye out for house items you don’t use any more. Transform old boxes into clothing storage, and an ice-cube trays can be used for a great jewellry holder. You can also use a ton of different objects like old computer box and old furniture to show creativity in your home improvements. This way you’ll have less household waste and more cash in the pockets. 8. Turn Off The Lights. Pay Less For Electricity Bills. Don’t think light switches are located by the door, because this is the only place they can be. There’s a reason they are situated there! Switching the lights off must be a habit people do not only on Earth Days! If you’re not using a light, please turn it off. 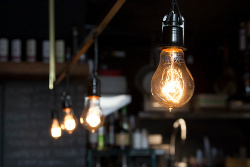 Doing so will not only cut your electricity bills, but it also will improve your light bulb life. 9. Use Rechargeable Batteries. Battery Recycling Is a Thing of The Past. Rechargeable batteries are a long term save. When they are used properly, you can take advantage of them hundreds or even thousands of times! This is a smart investment that will definitely pay off over time. 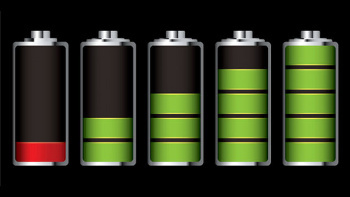 Beside the material benefit from the use of rechargeable batteries, many people don’t realise rechargeables have less impact on global warming, air pollution, air acidification and water pollution than the normal ones! Not rechargeable batteries should stay away from landfills, because they can prove very harmful for the environment as chemicals inside them that can leak. 10. Food Waste Recycling Into Compost. Save Cash From Not Buying This Any More. Making your own compost will show quick results in term of money savings. 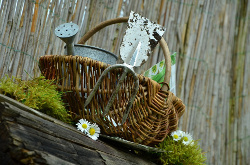 Having a huge garden can result in spending a fortune on compost instead of using a home made one. Check this comprehensive guide on food waste compost and enjoy your future savings from this enjoyable activity. 11.Planning Your Meals Carefully. Save Money From Dumping Less Food Waste. Planning your meals can bring financial benefits you can’t imagine. The reason people spend ridiculous amount of money of food is that they buy much more than they actually need. By buying just enough for you family, you get a guaranteed investment. Otherwise, there are always food leftovers that get dumped but have cost you a fortune to by the raw materials. 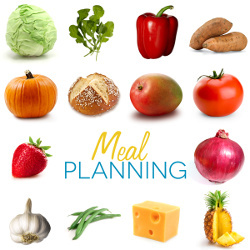 Optimal meals planning will make help you save money and not dump it mindlessly. 12. Grow Organic Food In Your Garden. Spend Less In The supermarket. It may sound complicated or time-consuming, but it’s achievable! Once and for all, spending money on giant-sized, genetically modified products will end. Some easy food to grow on your own to save money are green salads, green beans, berries and cherry tomatoes. Another cost-effective trick is to grow herbs on the windowsill, because you don’t even need a garden. 13. Cut On Meat. Use The Saved Money For A Healthier Nutrition. Nowadays meat isn’t the most affordable item on the grocery stores. In addition to that it’s not great for the environment, either. 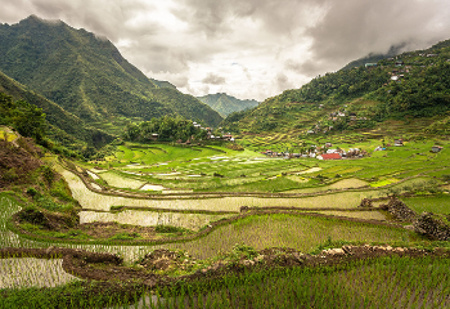 People destroy the rainforest to raise cows, and meat production results in more carbon emissions than any other protein. The point is to include some vegetarian meals in the weekly menu. It’s not that hard to turn into a vegan for 10 days in each month. This momentarily brings you improvement in your health condition, and your conscience will be lighter knowing that you are doing your part to help the environment and animals. Considering less meat consumption will save you a lot of money, add variety to your palate, and give the planet a helping hand. 14. Start Buying Recycled Items. It’s Cheaper Than The Standard. Close the whole process of recycling by buying products made from recycled materials. The more products we make from recycled materials, the better it is for the environment. The landfills will stay clear from the harmful gas they produce, which is a mixture of about half methane and half carbon dioxide. There are so many recycled products to buy today you can literally buy everything. Many online stores are specialised in selling recycled, environmentally friendly and natural products. Shopping there will save you a good amount of money by paying only for labor. Уou won’t pay added costs for materials, because they were already supposed to be disposed into the closest landfill. This is simply how you can find a half price deal for yourself. 15. Buying Second-hand Things Always Saves Money. If you are an insistent and clever you can find yourself great bargains at almost any aspect. Furniture, car, clothing, electronics and many other things. Buying used goods cuts down on manufacturing demands and keeps more items out of the landfill! People routinely throw away large amounts of good and most of them cannot imagine how much they would help, if they just think for a second before disposing household items. Recycling, reusing and reducing saves money and gives a longer life to common items others could use, saving the Earth in effect. 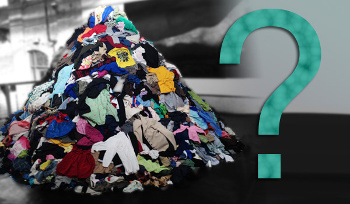 We all have clothes we don’t use anymore. But not all of us realise the opportunity to save money and help the environment by making simple changes to the way we buy, use and get rid of our clothing. Recycle the clothes and sell them to someone. If you don’t look for a material profit, donate clothing to charity shops, local councils or other similar organisations. 17. Upcycle Your Old Wear. Save Money From Buying New Clothing. The materials your old and now unfashionable clothes are made of is perfect for starting a an original upcycling project. If you’re used to wearing a backpack a standard cloth will do the job to sew a brand new one . Here are 11 innovative way to repurpose old clothes that will surely inspire you to make the first move and will help you to recycle for cash. 18. Fully Load The Washing Machine And Use Cold Water. Reduce Energy Consumption. This may sound unsanitary at all, but I can assure you it is not what you think. Wait till your laundry basket is fully loaded. Only then you can use your washing machine effectively. If your washing machine is brand new, chose a program which uses cold water instead of hot or lukewarm. You’ll save money on water bills and energy, spend on heating the water and clothes will be just as clean. 19. Drinking Tap Water Will Help You Save Money From Buying Bottled. Think in a logical way about this example. Let’s say you drink 10 glasses of water a day. This equals around 2.5 litres per day and more than 900 litres per year. This means you will spend around $1500 a year buying bottled water. If you drink from the tap, you’ll barely spend amount close to the half of the one above. Sounds like a great plan for saving money! Try to reduce buying bottled water, it’s messing with the environment through unwarranted materials extraction and wastage, as well as contributing to climate change. Not only are glaciers shrinking, but so are the volume of readies in your wallet or purse. Everybody loves to spend countless minutes or maybe hours singing under the shower. Nice warm shower during the cold winter nights, and refreshing cold one during the hot summer days. But the truth is that we only need less than five minutes. Reducing our shower time can save thousands of gallons of water every second. The water shortage is a quickly growing global issue and short showers definitely will help the planet dealing with it. In addition to that can provide more savings on the water bill. 22. Reuse Old Towels For Pet Care. If you have a pet, never throw away your shower towels. They are the perfect match to dry your puppy after a long walk outside in the rain. 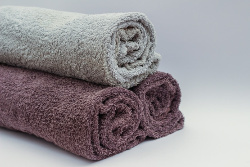 Use old towels to rub him off and protect your house from getting water and mud everywhere. Another way to use your old shower towels is by making a lovely chewing toy for your puppy. Cut the towel into strips lengthwise about five inches wide and tie knots along the length of the towel close together. Your dog will fall in love with chewing on it. Those are two perfect opportunities to reduce your monthly pet expenses. 22. Paper Recycling is Easily Avoidable. Go Fully Digital. 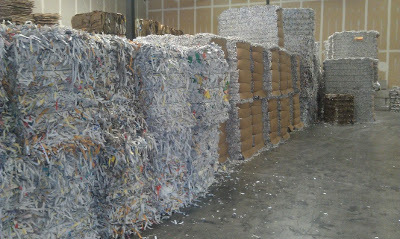 Save money by avoiding paper recycling. Go paperless and make your digital subscription. Nowadays, there are a lots of online platforms, which offers digital versions of hundreds of popular magazine titles. The online version of a magazine will cost you less than the paper one. Doing so will help you get rid of all the paper cluttering your office, living room or bedroom. A good benefit to the digital magazine world is the searchability (suitability). It takes only a few seconds to find what you are looking for instead of walking to the next kiosk. Furthermore the digital copy of your favourite magazine will never get lost by saving it in your mailbox. Managing your bank account online saves you priceless time and also cuts the amount of junk mail coming to your house. This way your savings are more secure, because it’s a lot easier for a thief to steal your paper statements out of your mailbox, rather to get an access to your e-banking account. 24. Avoid junk mail . Save Money From Not Buying Useless Stuff. Stop junk mail from coming to your mailbox. This is nothing else than getting suggestions where to spend your saved money for things you don’t really need. Think about the tons of trees and gasoline wasted every day only because you need to get your junk mail delivered in your mailbox. Find ways reach the senders and unsubscribe from getting notifications on paper for every sale or clearance they do. Or check online for services to help you reduce the unwanted mail. 25. Reduce Electricity Consumption To Save Cash. Unplug unusable electrnonics. Even if your appliances are switched off most of them still use up electricity. You can do two easy things to start saving money by stopping these electrical appliances from leaking electricity. The first one is to invest in a power strip and to remember turning it off every time when appliances aren’t in use. The second one is simple and you even don’t need to put your hand in the pocket. The cheapest and most effective way is to remember to unplug electrical appliances when you are done using them. By doing this all the electrical usage will be cut down to zero. 26. Electronics Recycling Can Be Avoided With Clever PC Management. Spend Less For Electricity As Well. In the century where almost every single person uses a computer at his workplace, turning it off at the end of the work day is a very important rule to follow. Unless for any company laws or necessities there is no need to leave it on. If you still need to leave it on for some reason, at least turn off the monitor. When it comes to your personal computer, try to create the habit of turning it completely off when you’re done using it. Trust me, this will decrease the amount of your electricity bill. Once your cell phone is fully charged, please unplug it. Keep an eye on that light on the upper left or right hand side of your display. Once that light turns green your phone can’t go higher than 100% and you are just wasting electricity keeping it plugged in. Most people forget to do that and this makes their electricity bills bigger. Also, it shortens their phone battery life. I know, it might be tough to let go of your first phone, favourite game console, laptop, TV, antique MP3 player, but always comes a time when you just have to let it go. You can’t just throw those old electronics into the trash just like that. All of them can contain lead, mercury, cadmium and other potentially harmful chemicals that can often leach from landfills, contaminating the environment—and eventually human beings. If you can’t give away your old computers and cell phones, you can recycle them—but only the right way. It’s first worth checking out whether your original retailer will accept the product for free recycling. Another way is to try to sell your gadgets for a second hand use. You’ll be surprised what people will buy. Just be honest in the description even if the device isn’t working at all, it will still have a lot of interest. There are people out there who like to fiddle with taking stuff apart, building complicated stuff. Use this clever application, designed by “I GOT WASTE” and transform the electronic rubbish in the office into money by recycling it. You no longer need a specialized carrier to load and drive away all WEEE waste to the recycling depot. This application will provide you with all information of nearby recycling centres that accept unusable electronics for recycling. 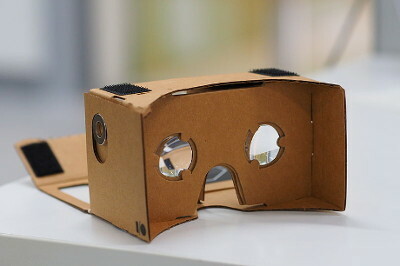 It’s available to any Android device. Do you have bins and shelves full of books you’ll never read again? Well, think about people who would gladly read them. Collect all those unused books and sell them online or suggest them to your local bookstore and make some quick extra cash for the week or month. If you don’t want to make a material profit from your “dust collectors”, it would be a great idea to donate books to a literacy organization, local school or library. Do you think your unwanted book won’t be valuable for anyone? Recycle it into cash by creating some DIY projects which can be easily sold. You can always make an invisible bookshelf, secret storage box or a creative picture frame. 31. Reuse Your Old Shoes. If you have a closet full of athletic shoes, which are not wearable anymore, and you don’t want to throw them away, there is a solution. 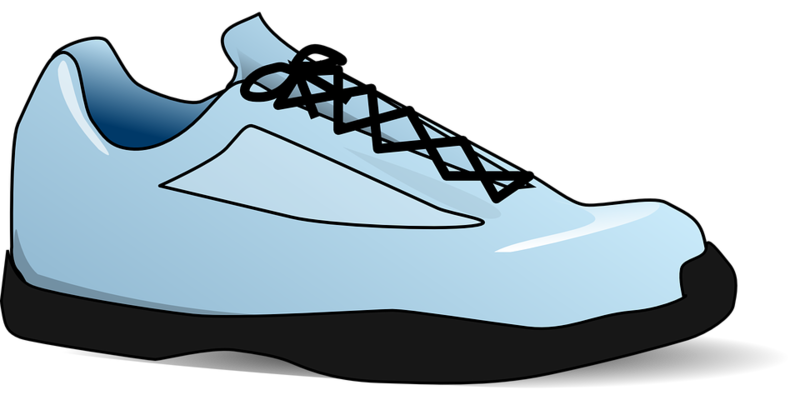 Check online for reusable shoe programs that some sports shoes producers organize. They will use them to create new surfaces for playgrounds, athletic fields and sports courts. Rarely worn dress shoes, pumps and heels won’t be suitable for the athletic endeavours, but you can donate them to organizations for homeless people, orphans or other less fortunate ones. This would add some extra miles to your shoes and help you earn some pocket money. 32. Recycled Eco Art. Make Money From Waste. Human needs are becoming bigger and bigger as time goes by. To satisfy them, we throw tons of packages daily, replace working appliances and furniture with new ones just because they are modern, fill shrinking land area with unnecessary things without even thinking that beside ourselves we also turn the nature into a slave of the technology, fashion and advertising. So Eco Art is an art in harmony with the nature. It is all created from waste items – paper, metal, plastic, glass or natural materials like wool, hemp, dried plants, fruits, seeds, etc. 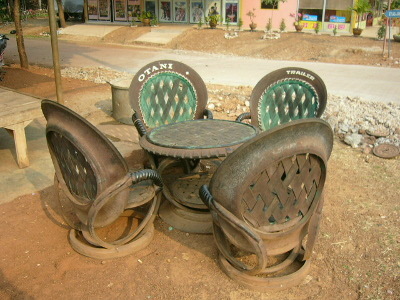 Eco Art aims to recycle environmentally harmful materials and prevent them from polluting the planet. This innovative method is a good way to make some cash by showing potential and creativity. 33. Recycle Useless Stuff Into Gift Wrap. Save Money From Never Paying For This Again. Who doesn’t love holidays? Unfortunately, many people don’t know that wrapping paper is not recyclable. All the shiny, laminated paper together with tissue, ribbons and other holiday materials loaded in the recycle bins mixed with other paper products, can make an entire load unrecyclable. So in this case of gift wrap, it’s better to reuse, or not use at all. The best practice is to do it yourself. Making the wrapping part of the gift itself is a great way to ensure nothing goes to waste. For example, you can use an old tea towel to perfectly wrap your presents or simple transform your old jeans into a creative wrapping paper. In each case you will save some money. And you can always check online for plenty of eco-friendly alternatives. Packaging is a growing global issue and companies like Nestle have committed to reduce the packaging of their products. Shop smart and you can help to reduce packaging waste as well! 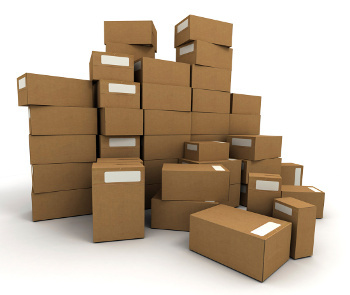 Look for products with bulk packages. Dealing with waste from packaging less often will save you costs for rubbish removal services and most important, you will not waste time dealing with the packaging waste at your home. As most of them are made of PVC, they are accepted all around with the sole purpose of recycling them. If there’s a box filled with gift cards that’s covered in dust, there’s nothing to wait for any more. 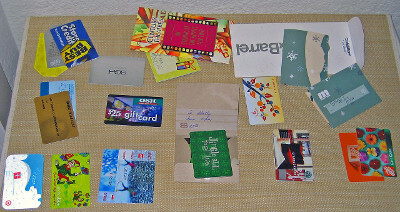 Take it to the recycle centre or use the material for DIY projects from gift cards. In case you make something outstanding, just use it for a gift for the next person who’ll invite you to his birthday. That may spent a few hundred dollars, especially if the focus of your DIY project is on making kids toys. Recycling CDs for money has always been profitable when done smart. If there is a recycling centre nearby you that accepts such recyclables, take advantage instantly. If unaware of the location of such facility, use any of the applications suggested further in the post to help the recycling companies find you and visit you at home. 37. Videos Recycling. Earn Money From Something You Don’t Need. Old-fashioned VHS device and tapes or video games recycling are perfect for getting rid of in terms of looking for a fast profit. In case you have a garden, use the CDs to hang them around the house. That scares unwanted birds that may cause you trouble. 38. Reduce CO2 Emissions. Pay Less For Transport By Sharing The Ride. Catch a ride with somebody else. A positive eco step to keep additional cars off the road. When going to a vacation with friends always look for opportunities to share your ride together. You won’t only save the cost of maintaining two cars, but also will show an impact for environmental sustainability. 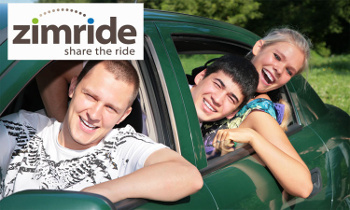 You can also check Zimride ride-share service built on the Facebook social networking platform that enables members to create personal profiles and select ride mates who share similar music tastes, favorite sports teams, or who just seem “normal.” Zimmers can also evaluate things like driving speed, music volume and smoking preferences before agreeing to hop in. 39. Reduce Air Pollution Even Further. Don’t Pay For Transport At All. You don’t have to be a die-hard environmentalist to appreciate that by walking or biking to work you are doing something to personally reduce the negative impact of other forms of transportation. One expert states that for every four miles ridden on a bicycle (or walked presumably), you are keeping 15 pounds of pollutants out of the atmosphere. No fossil fuels, no ozone depletion, no deadly pollutants. Instead of trashing the car’s tires when they are severely stale, make an attempt to upcycle them into something you’ve enjoyed in the past. Who hasn’t played with a cradle, swinging enjoyable for hours on it ? Anyone can make one as long as the tire is big enough to support the weight of your kid. That way you may save up a few hundred dollars from buying a new one from the store that has nothing better than the old school tire swing. Check these 20 ideas to recycle old tires to get even more inspired for upcycling. Do your best to keep the landfill save from paper by using washable rags instead of paper towels. Don’t waste your money for killing trees. Old rags or kitchen towels will deal even better with cleaning up the messes around the house. This is one is a bit risky. All who want to retrieve some of the cash spent on paint have to ensure their gallons are full. Once this is done, sell it on Ebay or to any local store that will buy it for up to 70 % of its original price. In case you prefer donations, visit Habitat for Humanity ReStore and contribute to a better humane habitat. 43. 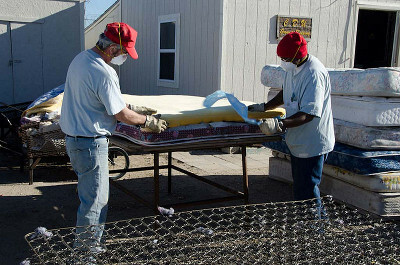 Mattress Recycling Helps You Save Money From Insulation. Everyone has few of these in their home. Why not take them apart and upcycle some of the parts inside into something that we would otherwise buy with a weekly salary ? Quilting foam is a perfect material for a brand new carpet underlay. This will preserve your carpet from getting damaged and will also keep your feet warm when winter comes. Consider installing a programmable thermostat in your home. This tiny device allows you to have a full control over the heat levels in the house. It is up to you when the temperatures will come on and when they will turn down. With today’s technologies you can even download an app which will allow you to set up the desired temperature from a distance. Not think about the ton of money on your utility bills that will be saved. In addition to that it is also saving energy and reducing pollution. Always stack wine corks and sell them when you have already gathered at least a hundred. 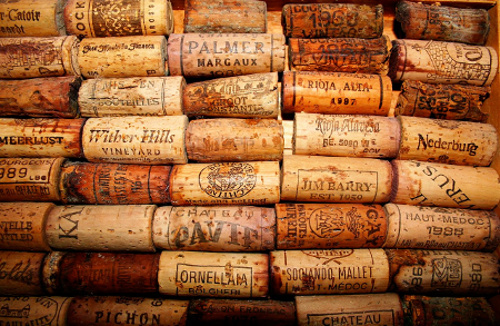 You’ll be surprised how huge the demand for cork material is. Cheap fishing rods have synthetic cork handles or ones made of EVA. Top fishing rods though, for which design and product quality is a leading factor, the cork class AAAA is considered a huge luxury. Expensive wines have corks made of this and is extremely precious, save it whenever you can. On Ebay, ordinary wine corks go for about 10 cents each and a huge profit is possible only if you own a restaurant. Don’t buy all those cleaning supplies from the grocery stores which are jam- packed with toxic bacteria killers. They are nothing else but poison for people, animals and plants. And guess what, no environmental- friendly at all. Try some mix-it-yourself cleaner with homemade ingredients like vinegar and baking soda. It is guaranteed you’ll get better results in the cleaning process. And the best part is homemade cleaning supplies are quite inexpensive. 47. Host a Yard Sale. Earn Money From Trades. 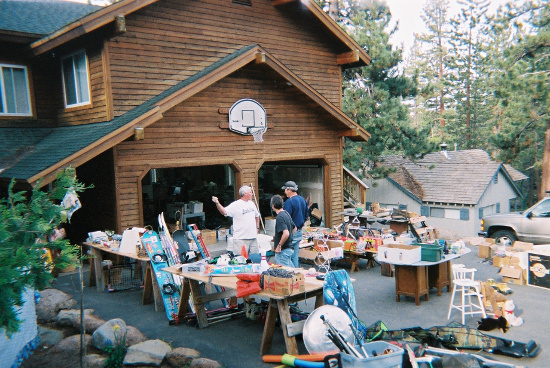 Keep your junk away from the landfills by organizing a yard sale. This is a great opportunity to make money instead of trying to save some cash. Plan a massive house clearance and dedicate a little space in your backyard where to display all the unwanted junk from your property. It can be old stuff that needs to be dumped or something you don’t like anymore, but someone else can love it. Don’t be greedy and put reasonable prices for your items. Make some flyers, let all the neighbours know and… voilà! Quick and efficient way to make some “real cash” from things you don’t need. Think in advance and plant some native trees all around your house. By spending some money on trees, you will save some by shading your house so you won’t be in need to turn on the AC once the summer arrives. The higher trees grown the more CO2 will be absorbed from the air surrounding the property. This eco plan will also increase the value of your property in the future. 49. Recycle Finder – A Money Machine When Used Cleverly. Recycling companies all around U.S. are patiently waiting for people whose backyard is filled with various junk. Only if you knew how to reach them would be everything necessary to not only get rid of the irritating rubbish but also earn some quick cash. Recycle Finder is a quick and easy solution to this. Use this ingenious application and quickly find the location of all adjacent recycling business companies that will gladly take all your waste and will also pay for it. You can recycle old bank cards, credit cards, etc. 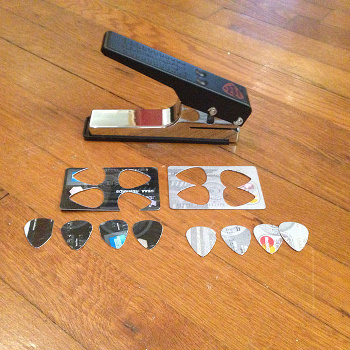 by making guitar picks! This one is from a personal experience, I always lose my plectrums, so I can never have enough of them lying around. These plectrums are actually not so bad to use and if you can’t find a real one, they’re the next best thing. Trust me, this saves a lot pocket money. Our final advice is to show your impact on the planet. Think twice before throwing anything away. Maybe you can make it last longer or find another way to benefit from it, such as recycling for money. Use your creativity and save money by thinking about the health of our environment. Make an online research in your spare time and find out which are the closest recycling centres around your neighbourhood and start using them. If you are too lazy to manage your waste don’t leave it just like that. Hire a professional rubbish removal company like Rubbish Please and leave all the hassle to them. Posted in Live green. Bookmark the permalink. This article gives us a good information regarding computer recycling, I work on a project, which is based on electronic recycling services. This article also helped me in my project. Thank you for this post!